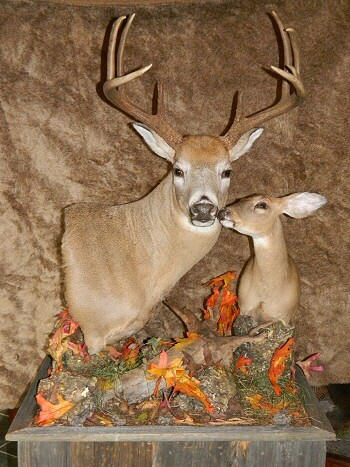 Brown Bear Taxidermy creates some of the finest life like deer taxidermy mounts found anywhere. 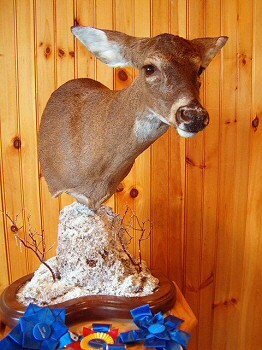 Deer Taxidermy with a 1 year or less turn around time. 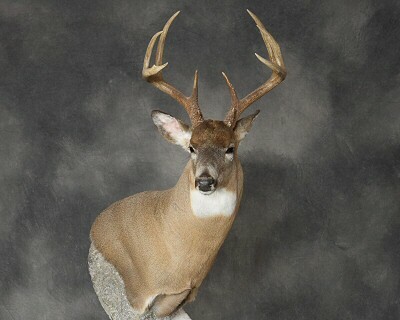 We are professionally and expertly trained by some of the top names in the industry in mounting deer and are fully licensed. 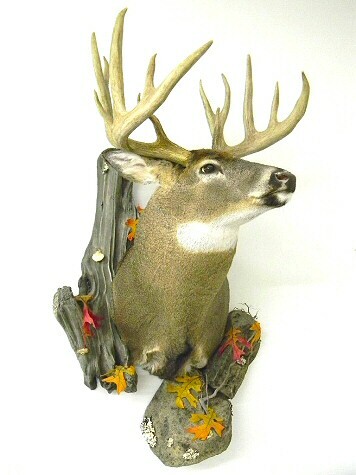 Deer taxidermy mounts that are a true work of art that you will be proud to display to friends and family! 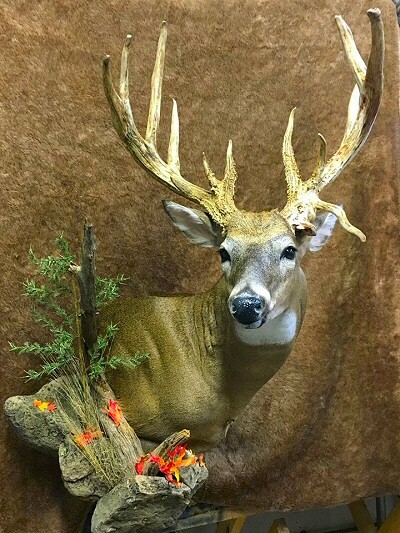 As a true full time professional taxidermist, we offer a quality deer taxidermy mount that will look great for many years to come. 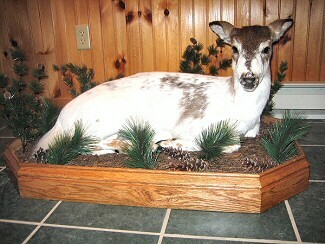 We offer the finest in custom habitat creation, custom bases and custom poses. 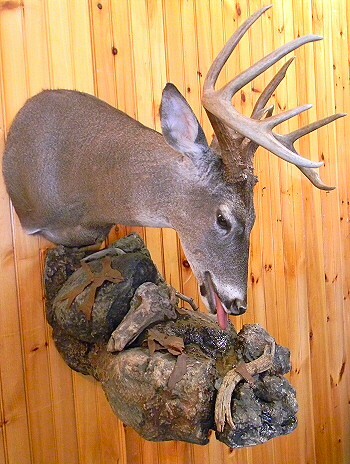 Deer hunting is survival hunting or sport hunting for deer, which dates back tens of thousands of years. There are many types of deer around the world that are hunted. 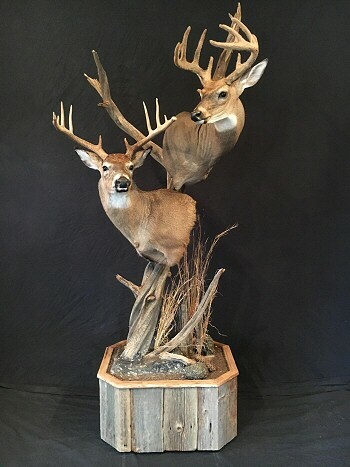 We are fully trained in all of the latest deer taxidermy techniques and our results speak for themselves. Go With A Name You Can Trust! Go With Brown Bear Taxidermy! 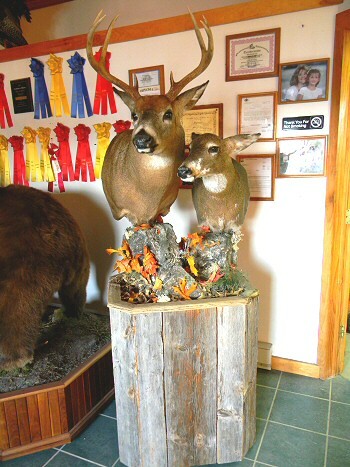 Pedestal mounts have grown very popular especially with custom habitats. 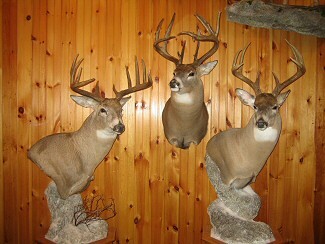 Brown Bear Taxidermy has many awards for our custom deer habitat mounts. 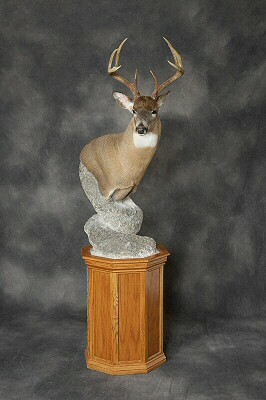 A once in a lifetime trophy deserves the finest mount possible. When you have the trophy of a lifetime and after all you went through to get it, why trust your mount to just anyone? Go with a Pennsylvania taxidermist you know you can trust to bring your trophy back to life that you are proud to show off in your home or office, all at a very reasonable price. 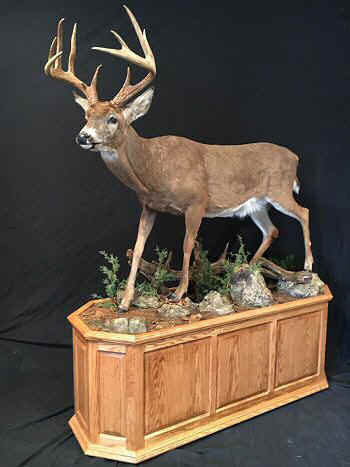 Mounting any deer, whitetail, mule deer, black tail, or any other species, is a complicated process that takes many years to perfect deer mounting well. All Images and content protected by international copyright law. NO image or part of this website may be reproduced or used in ANY many without prior written permission. If your into motorcycles check out Iron Hawg Custom Cycles Hazleton PA., They specialize in Custom Motorcycles PA, Custom Bagger Builders PA, Make your motorcycle look nasty with the latest in Motorcycle Chrome PA, they also offer Custom Motorcycle Paint Graphics PA, area licensed and trained Harley Repair Shop PA, Iron Hawg offering Harley Davidson Service PA, they are awesome Custom Bobber Builders PA, Custom Bike Builders PA.
Resilient Flooring PA. from wood look tile, to the latest in renewable resource flooring such as Bamboo Flooring PA. Specialty Flooring. Commercial Flooring PA. for all your retail, medical facility health care office, schools needs and more. They have decades of experience to bring in your project on time and under budget.